Hi friend, thankyou for interesting our service.We are Special because we have 6 room & 6 toilet/bathroom in house. This make Homestay Klebang Ipoh unique in Ipoh. Whole House for 9 to 16+ person. Equip: unique fresh toilet/bathroom, ceiling fan &Tv. 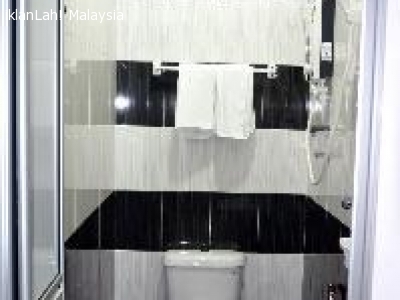 If u need this 1 room only, The price is RM55 per night. Equip: unique fresh toilet/bathroom, whole new Air-con, Tv & water heater. If u need this 1 room only, The price is RM98 per night. If u need this 1 room only, The price is RM78 per night. If u need this 1 room only, The price is RM88 per night. : If u need whole house(means you own the whole house 1 night), The price will be RM450 for 6 Room (for 13-15+ person). : Check in time is 2.00pm - 8.30pm & Check out time is 11.30am. Satisfaction guarantee clean & tidy toilet/bathroom !! : 10+ minutedrive to Ipoh town. : More++: The Biggest New AEON (jusco) Klebang In Ipoh open now, only need 1 minute walk to. Please booking first if you are interest. Here some details about homestay. Ground floor of Homestay Klebang is Mini Market, The Residential area nearby. In front of the homestay is a Petron petrol station & Opposite the main road is Aeon Klebang.